Self-taught interior designer helms growing home décor subscription box company and QVC line. 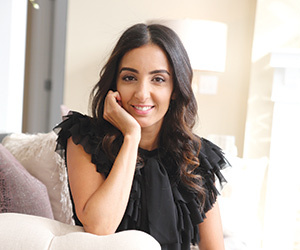 Farah Merhi’s “aha moment” came in the middle of a home improvement project. As she and her husband remodeled their living space in 2012, she created an Instagram page called Inspire Me! Home Décor to document the process and share ideas. As her follower count rose into the thousands, Merhi felt something shift into place.